Whoever said Detroit is the the Paris of the Midwest has clearly never dated here -- especially not during winter. Sure, there’s an “explosion” of new restaurants popping up all over town, but eating and drinking your way through winter date nights can make squeezing into boat wear come summer a bit tricky. With that in mind, you’ll wanna get creative next time you and your date are tempted to just Hulu and chill (Netflix doesn't have a monopoly on streaming, guys). Here are 18 winter-friendly things you can do instead. You just met your honey, just as your buddies booked that Airbnb in Key West. If springing for a mid-winter excursion is just too early in the relationship, or you’re saving your dollars, the conservancy on Belle Isle can be a romantic alternative closer to home. 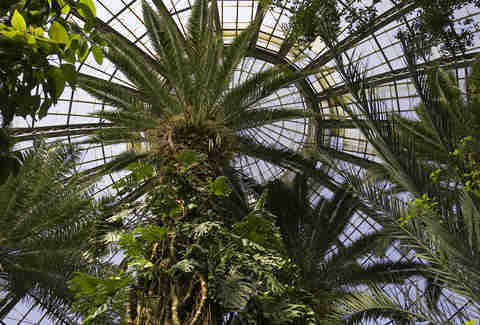 Take in tropical aromas, desert succulents, and gorgeously preserved Albert Kahn-designed architecture all in one visit. Oh, and did we mention the 1904-erected building is heated? You gotta find an activity that gets you off the couch, but somehow ice hockey isn’t your idea of fun, relaxing night out. Enter a true Detroit sport: fowling. More chill than your parents’ bowling alley, but not quite in with the annoyingly hipster crowd. Plus, brewskis on-site, so you can let loose and have some fun. 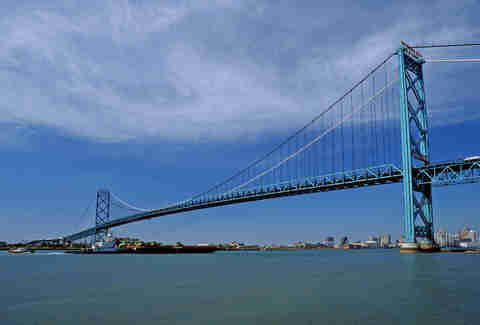 You used to make those cross-border trips to Windsor on a whim with your friends when you were just 19 and itching to order a drink. Those days are long gone, but now that your tastes have become refined, you and your SO can explore all the cultural charms that Ontario has to offer. Casinos, strip clubs, great restaurants, and the calmest border agents you’ve ever met are all enough to induce unrivaled levels of passion. Yeah, OK, it’s pretty cliche: lacing up your skates, getting ready to hold hands on the ice, breaking each other’s falls, laughing over a thermos of hot cocoa. But if you can shake images of cheesy rom-coms from your mind, ice skating is kinda the perfect cornball date. Campus Martius in Downtown and the rink at Clark Park in Southwest are both optimal for outdoor ice skating. Your sugar pop has been dying to get out of the house and away from the throes of yet another Breaking Bad binge. But y’all are broke. 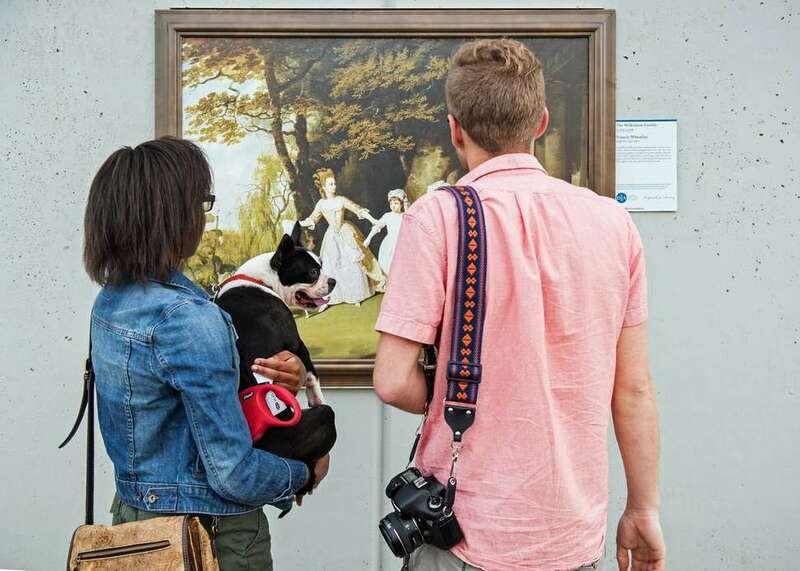 If you can scrape together enough for gas money and parking, you can take the lover to The Detroit Institute of Arts, where on Friday nights the museum offers up a lineup of free entertainment with its Friday Night Live! series. Enjoy concerts, workshops, and tours, sans cover charge. Dinner and a movie used to be the quintessential date night. These days, it’s more like Seamless delivery and Hulu streaming. 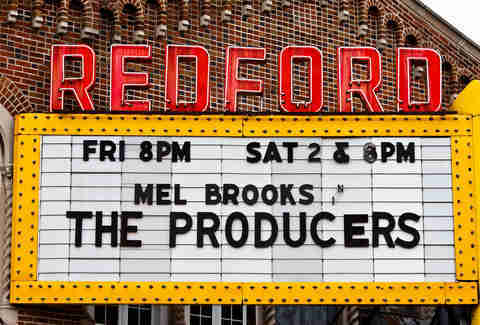 Detroit’s meticulously renovated Redford Theatre is an ode the heyday of the silver screen. A live organ performance marks the opening of each show and cult classics like Casablanca and The Little Mermaid (hey, the heart wants what it wants) are regularly brought into screening rotation. Dating is this often painful process of elimination where you’re finding out if you like what he/she likes. A few hours pursuing the vast old book collection that is John King Books can help along with the process. While the novio/a is digging the early American literature section and you’re knee-deep in vinyls, what you’re really doing is unlocking the secrets of your heart by getting to know each other better. Ask any Detroiter about their favorite love songs, and a sultry Motown track is bound to be part of their playlist. 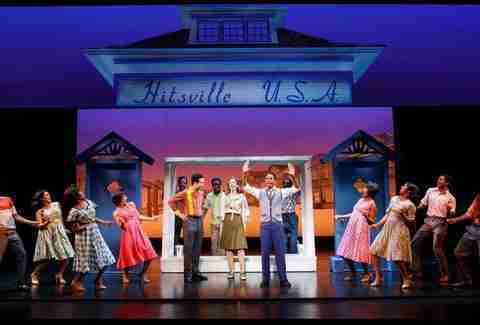 On a tour at the original Hitsville U.S.A., you and your one and only will almost sense Smokey Robinson belting out “Cruisin’” in Studio A. Nothing is too good for your sweet -- that’s been established. Sometimes though, it’s the little niceties that make dating worthwhile. 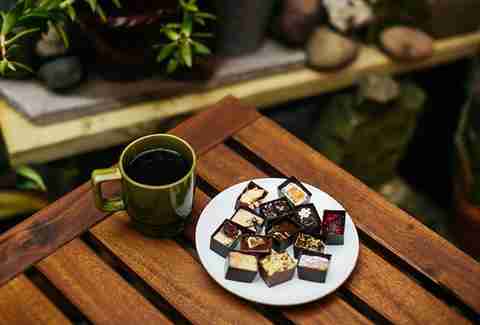 Sometimes it’s as simple as indulging in a simple piece of chocolate that can add to the moment. Yeah, yeah, OK we’re starting to sound a little saccharine, but once you and baby cakes get a taste of the whimsical bonbons created by the Babes Babes Babes at Bon Bon Bon, you’ll understand. Each season, the chocolate shop rolls out a different “collection,” such as winter favorites like Doug Fir (Douglas fir-infused dark chocolate ganache) or Snowball Fight (loaded with marshmallow, cake, and coconut). 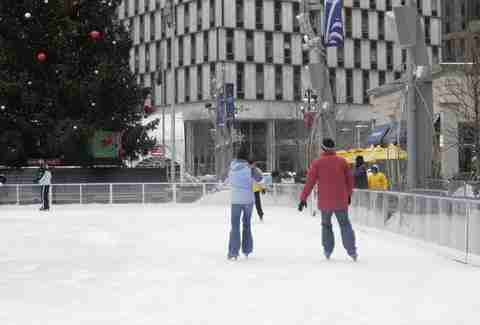 You had one of those magical Detroit dates ice skating at Campus Martius and are ready for a way to cap off the evening. If the weather permits you to walk a few blocks, you can cozy up to hot cocoa and some of the famous baklava at Astoria Bakery in Greektown. Or maybe macarons are your guilty pleasure. Or chocolate-covered strawberries. Or cannoli. Or a mini key lime pie. Or a... OK, OK, you get the picture. Your sweet tooth -- and your sweetheart -- will thank you for this date night detour. No, this will NOT be the night you get all axe-murdery on your love bug. 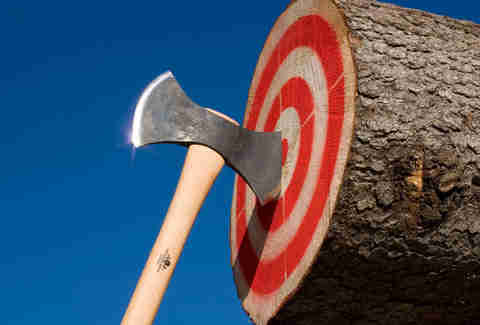 But it will be the moment when your inner lumberjack is unleashed at Detroit Axe, Metro Detroit’s self-appointed “first wholly dedicated, competitive axe throwing area.” Set above the former Local Kitchen and Bar in downtown Ferndale, the venue rents out 12 lanes for tournaments. If flinging heavy metal objects isn’t quite the thing that gets your mojo going, the first-floor Corner Tavern and Game Room offers a more relaxing vibe, with food, drinks, and, like, 600 board games. Not that we have anything against a good snuggle at home, but if you’re in Detroit, you really should check out this unique, historic bathhouse. The Schvitz has been open since 1930 and offers ancient heat therapies, holistic healing, and food -- making for a restorative and toasty excursion. Hours are dedicated for women and men only, as well as co-ed. Release your inner-child/aggressive competitor with your date at any one of the newer arcade bars that have hit the scene. Ready Player One near Greektown has some 40 machines, including 10 old-school pinball arcades. You and your beau can jam out to Ms. Pac-Man, Tetris, even Mario Kart on Nintendo 64 -- all with adult beverages on hand. 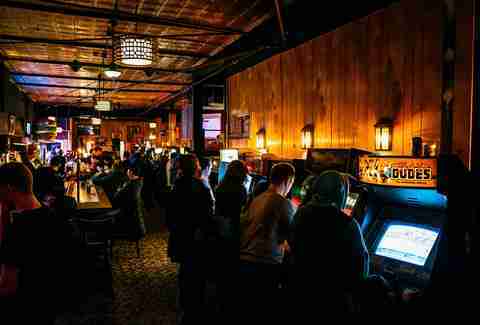 If you’ve found yourself meeting up at Checker Bar, mosey on upstairs, where Offworld Arcade, partnered with Pop Pizza, also offers an array of vintage arcade games. And at Punch Bowl Social, where arcade games, bowling, darts, and board games all meet under one roof, you can have quite the time without ever really having to sit through those awkward silences. A warm mug of a frothy cappuccino or tea is a sure bet for warming up, as well as a safe route for those Tinder dates that might not go anywhere. At Trinosophes, you get that caffeinated warm-up in an inviting vibe, complete with ambient music, art works in the adjoining gallery, and the occasional night-time show. Plus, if your night out somewhere went well, you can always stop in for brunch on the weekends. Politics is one of those subjects that folks try to avoid during polite conversation. But maybe you’re at that point in your relationship when the lame ice breakers are getting old. You need stimulating discourse, not more of: “You like pizza... yeah... I enjoy pizza as well.” Just how you come about these types of discussions can make or break your budding courtship. That’s the beauty of the Urban Consulate’s regular Parlor Talks. 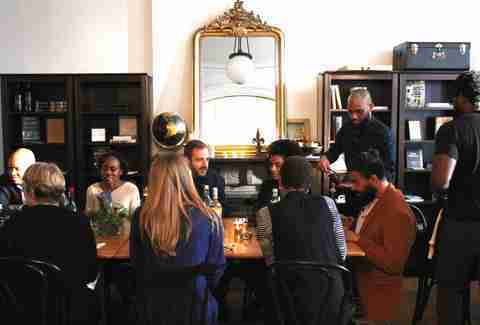 Since 2016, Urban Consulate has held a weekly series of conversations bringing people of all backgrounds together to share ideas about making a better city. After you’re all fired up, continue the debate down the street over tapas at La Feria. Your boo is into Sky Ferreira, you just wanna boogie to '80s jams. Your SO likes plain pepperoni, you’re into experimenting with your pizza toppings. Chances are good that despite differing tastes in music and food, you’ll find a happy compromise at El Club on West Vernor Highway, the all-ages home to live shows, dance parties, and Pepe Z brick oven pizza. Winter is Hollywood award season, and that means adding to your list of must-see films. But where to take in those critically-acclaimed movies like Lady Bird, The Shape of Water ,or I, Tonya? While Detroit proper has gotten crap the last few years for its lack of a proper theater (the one in RenCen closed a few years ago, for example), there are a few gems within the city limits. 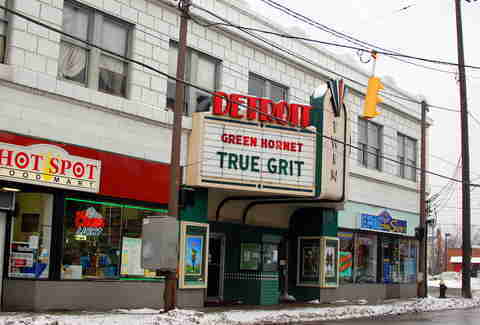 Cinema Detroit is billed as the only indie film house in the city, and it also regularly holds screenings of some pretty big name shows. So check your listings, text your boo thing, and head over to the 3rd Street movie house. For a bite, there’s Gus’s World Famous Fried Chicken down the street, the fancier Selden Standard for small plates, or laid-back diner fare at Honest John’s around the corner. 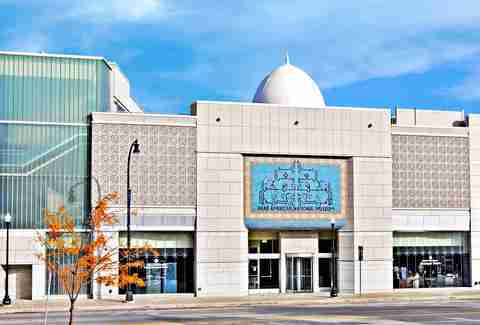 You’ve been meaning to check out this Dearborn institution, the largest and only museum dedicated to the history and culture of Arab Americans. 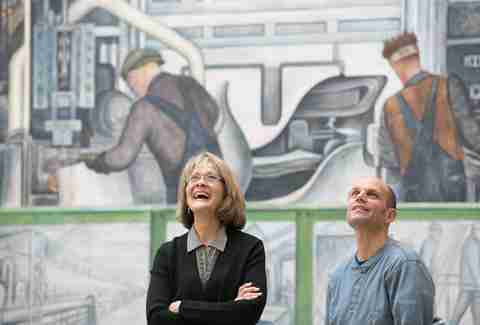 Global Fridays is one intro to this Smithsonian-affiliated destination. 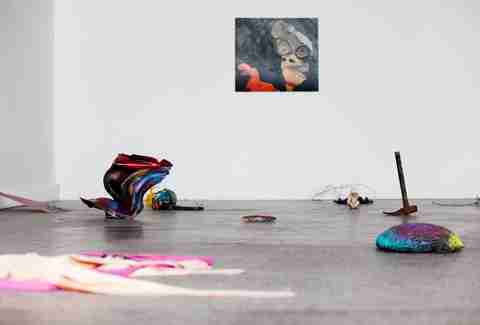 Every winter, the museum hosts a weekly series, offering an array of modern global performances. This season, renowned poet/Detroit native Jessica Care Moore, Brooklyn poet Aja Monet, and Toronto-based musician Lido Pimienta are among the acts to grace the Aliya Hassan Auditorium. Tickets typically go for $10 for members and $15 for the general public, leaving enough spending money to hit up any number of Dearborn’s treasured Middle Eastern eateries after the performance.